Creeping Charlie in the landscape and how to remove it. 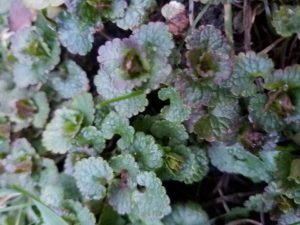 Creeping Charlie is a invasive lawn and landscape weed that is very hard to eradicate from they yard and landscape but we have 3 great suggestions on how you can remove this from your landscape, the fourth one is also a option for treatment, just not as ideal. The earlier in the season you tackle weeds the better you are for lowering your maintenance in the future, procrastination just grows stronger weeds. Organic treatments- Liquid Iron can be a very successful treatment, usually applied by an organic lawn care company. Timing and weather can be critical but is kind to other lawn forbs like clover. Chemical treatments- Tri-mec is a store bought hose application herbicide that does not kill off turf grasses but does kill of other more beneficial lawn forbs like clover. We recommend to take caution any time you use a herbicide on you lawn. Timing and weather is critical here as well for best results. Always read the label thoroughly before using. We have found that Creeping Charlie is resistant to some other broad herbicide products like Round-up. The plant it self is most susceptible in the early spring just before and as it has its first bloom which should be happening here in the next few weeks, just before the lilacs bloom. So now is a great time to tackle this! “The only good use for creeping charlie is in the compacted heavy shade where naught much else will grow” has been said by some landscape people, but be wary that is can spread to other parts of your yard.